The official site for Cagney and Lacey has opened, and is available here. This is the official site and new things should be popping up all the time. Definitely worth going to. Thanks to Georgiana Gates, we now have a complete listing of the Cagney and Lacey episodes. Thanks also to Hiroyuki Katoh for providing the initial airdates for many of the episodes. My thanks to Harvey Hall for providing the airdates for the final season. As I watch the episodes on the DVD set I'll do reviews of them. Promos/Interviews relating to the DVD release.  We have a number of excellent fictional stories, most in script form, on this site. I am always looking for more quality fiction like we have, so if you have a story/script you've written, go ahead and send it to me. An index to the stories is here. 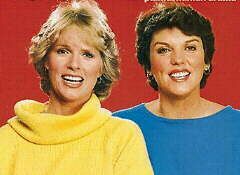 People magazine article, Oct. 5, 1987: "In a shocker show, Cagney and Lacey tests limits with the most vicious racial slurs ever heard on TV"
Ms. magazine January, 1987: "Sharon Gless and Tyne Daly"
People magazine article Dec. 1, 1986: "As an actor or odds maker, Cagney and Lacey's John Karlen is simply perfecta"
People magazine article, November 25, 1985: "Cagney and Lacey creators Barbara Corday and Barney Rosenzweig mix cops, controversy and marriage"
Article from New York Times magazine, Sept. 22, 1985: "The Pregnant Detective"
Article from People magazine, Feb. 11, 1985: "A Method in the Madness: Cagney and Lacey grapples with cancer in a grueling, rewarding episode"
TV Guide article Feb. 2-8, 1985 "Can Lady Cops Really Do The Job?" 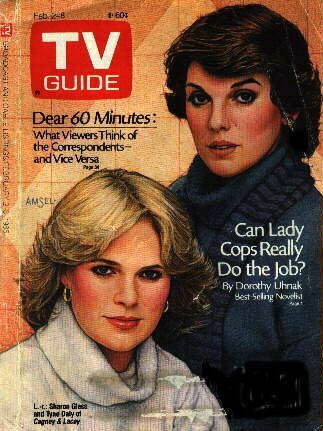 Article from Ms. April, 1984: "The Rise and Fall-And Rise of TV's 'Cagney and Lacey""
Article from Ms. magazine, October, 1981: "Can Women Be Buddies-Under Pressure? And Have Laughs and Adventures Besides? Television Execs Said No-But Here's What Happened"